Many years ago, sometime in the mid 1980's, a friend a co-worker of my then husband injured his shoulder at their work place, in a ship yard. 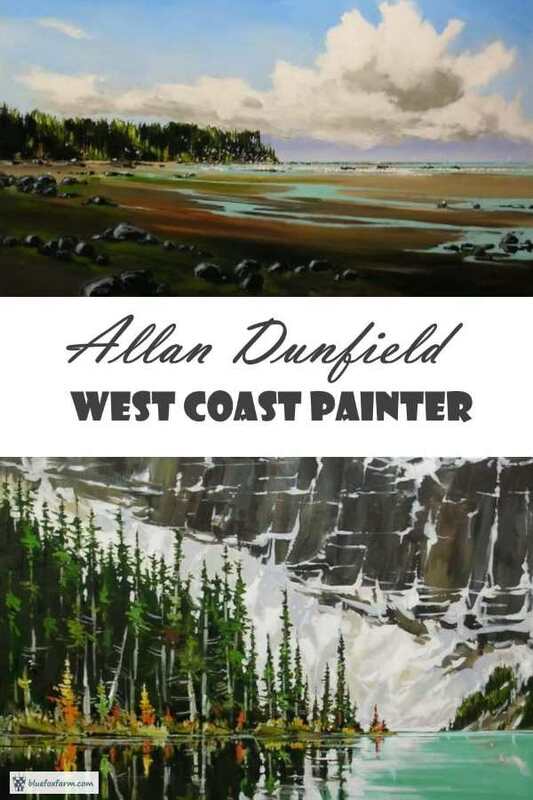 Allan Dunfield, to my surprise, was not just a ship builder, he's an artist of incredible talent, too. In an effort to stave the wolf from the door, he sold us a painting. He gave us a choice of several; all were of rustic scenes like old falling down fences, a beat up rust bucket of a car left to mold out in a field, and one that struck me instantly; trees leaning in different directions, in a misty background. As a horticulturist, I'm always drawn to images of trees, paintings in particular. 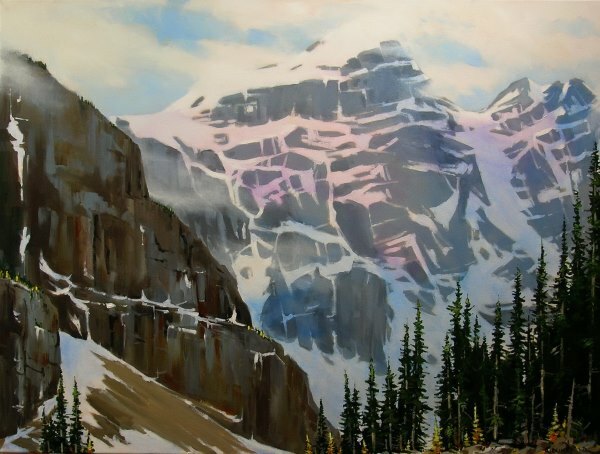 Allan told me that the sun beams through the mist were created by using an eraser to take some of the paint away - the first time I realized that painting isn't always about adding more, it can mean removing some too. I've carted that painting around wherever I've moved to, and in the process, twice it's had the glass broken. Now I'm just leaving it that way. 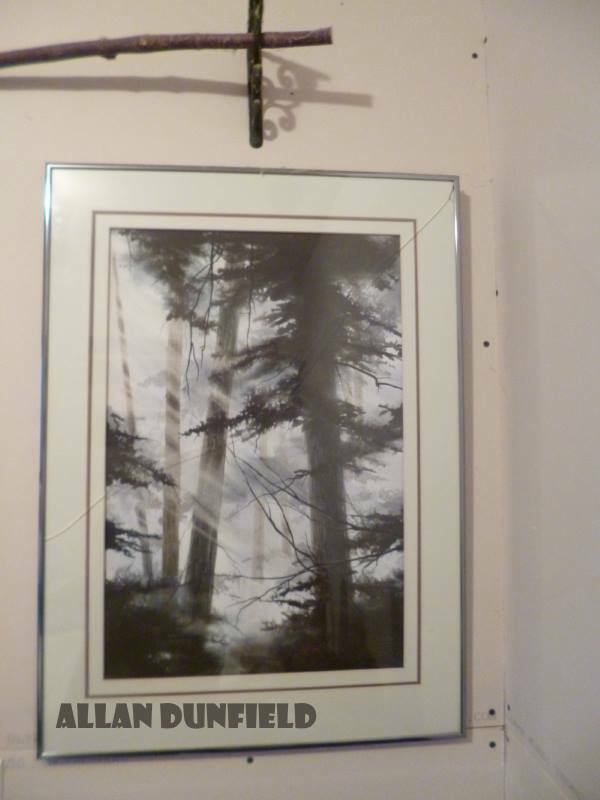 One day, I'll get it repaired, and probably get a new frame as well. For now, it's staying in the original frame, as Allan first ordered. I recently contacted Allan, to let him know that his picture of the trees in the mist has a good home, and I treasure it. He sent me some photographs of some of his more recent work. These images are used with kind permission of Allan Dunfield. All of these paintings are sold. I think you can tell how the technique of creating that misty feeling has developed in some of these paintings. 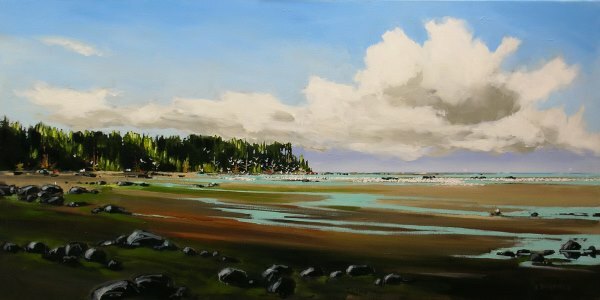 Allan obviously spends a lot of time on beaches, and paints the most incredibly real-looking water on the sand. 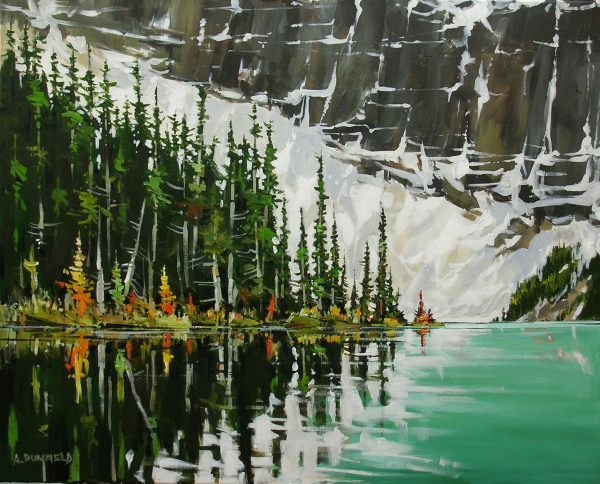 The water and the reflections of trees are so lifelike, it almost looks like a photograph. I'm planning on purchasing more of his work. How about you? 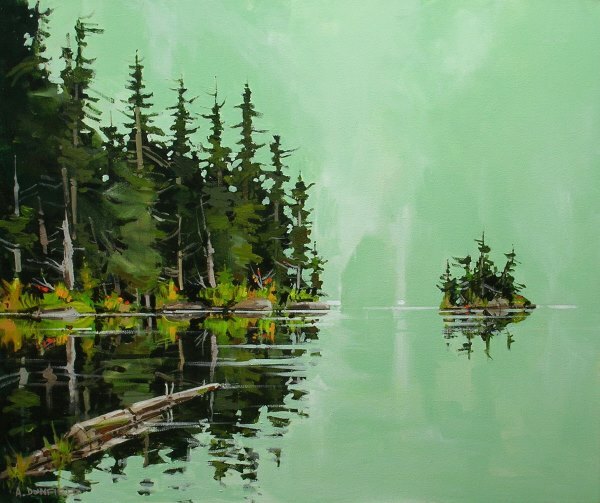 Contact Allan at his studio in Qualicum Beach on Vancouver Island. Make sure to tell him Jacki sent you!